Home » Features » Product Reviews, Running Gear, Training	» Polar RC3 GPS Sports Watch Product Review: Get ALL the Data! 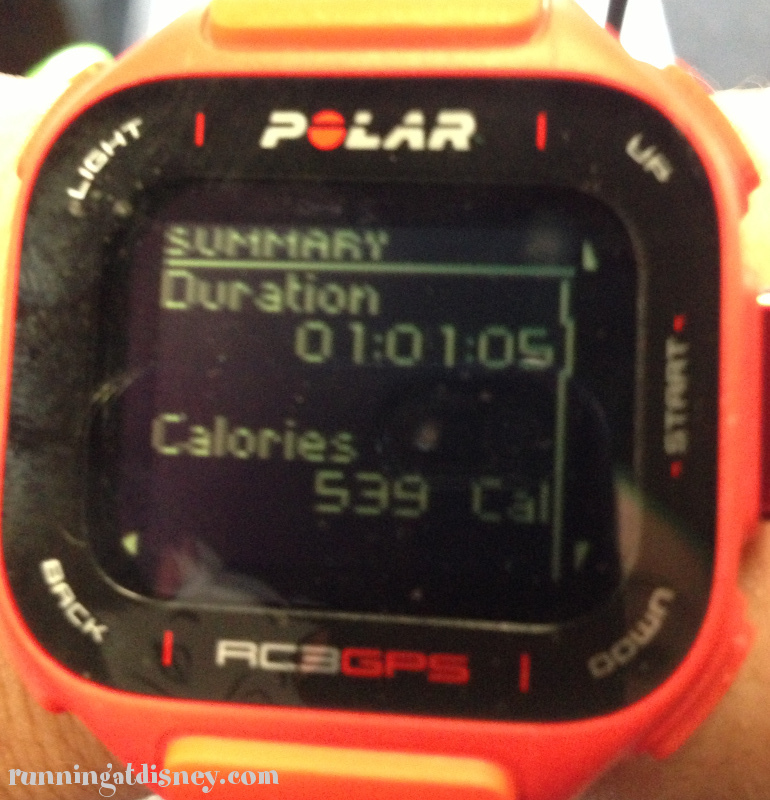 Polar RC3 GPS Sports Watch Product Review: Get ALL the Data! 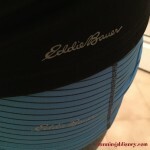 Disclosure: The following post is sponsored by FitFluential LLC on behalf of Polar. Lately I’ve been curious about my heart rate and if I’ve been exercising at peak efficiency. You always hear that you should be able to carry on a conversation while running to know you’re within your target heart rate. Well I can very rarely carry on a conversation while running, so I had the feeling that I have been pushing it too hard…looks like I was right. I was recently given the opportunity through FitFluential to try out the new Polar RC3 GPS Sports Watch with Heart Rate Monitoring and I jumped at that chance. I’ve actually been looking at Polar heart rate monitors lately and had been considering getting one not only to track my heart rate, but to track my calorie burn at CrossFit, so this was a great opportunity. That’s a lot for a sports watch! I was really impressed by the 12 hours of continuous use and my first thought was “Why didn’t I have this for the WDW Marathon when my Garmin battery died after 6 hours?! ?” But there are much more impressive features of this device that you’re probably interested in. The first thing I did when I received the watch was set up my profile. Age, height, weight, etc… This is used to properly calculate your calorie burn and determine what your average and maximum heart rate should be. This was super easy and only took a few minutes. I wanted to have a full charge on the watch before using it for the first time, so I plugged it into my computer (it comes with a micro USB cable) and let it charge overnight. The next day I strapped on the watch and the heart rate monitor and went out for a run. Two immediate observations. 1. The watch is large. I mean, I guess it needs to be for all the stats it shows, but it just felt a little bulky on my tiny wrists. However, I do have abnormally small wrists. 2. The heart rate monitor is very comfortable. The strap is soft and flexible and the monitor itself is very small. I hardly noticed it was there. Clearly, my suspicion was right that my heart race is too high when I’m running. My average rate was 174, which is at 93%. Ideally you want to be at 50-85% during exercise. This is definitely something I’m going to need to work on going forward. I’ve also tried out the RC3 during a few different CrossFit WODs as well. 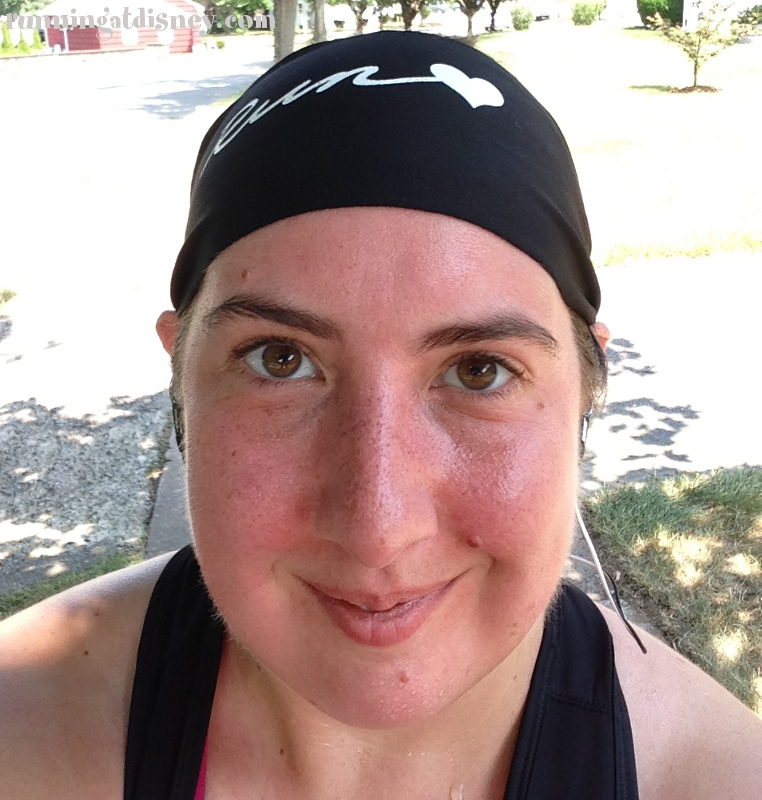 It really came in handy for the WODs that included running so I could keep track of my pace. I always tend to go out way too strong in those WODs and the tank is completely drained by the end. The watch allowed me to keep more of a steady pace to stay strong through the whole workout. The one gripe I have with it for CrossFit goes back to it’s large size as it tends to get in the way during some of the barbell movements. So far, I have really enjoyed all of the features of this sports watch. The GPS and heart rate monitor seem to be very accurate and it’s easy to use. There are still a few features like the fitness test and the training plans that I haven’t checked out yet, but I plan on diving into them in the next few months. Well that’s if B doesn’t steal it first…he’s had his eye on it! Good news for YOU…the folks over at Polar are offering all RAD Readers a 25% discount on the RC3 GPS! If you’d like to buy this great GPS Sports Watch, simply click ::here:: and use code: “fitfluential” during checkout to receive the discount! This is valid only on the RC3 GPS and will expire on this Saturday, August 31st…so get on it! 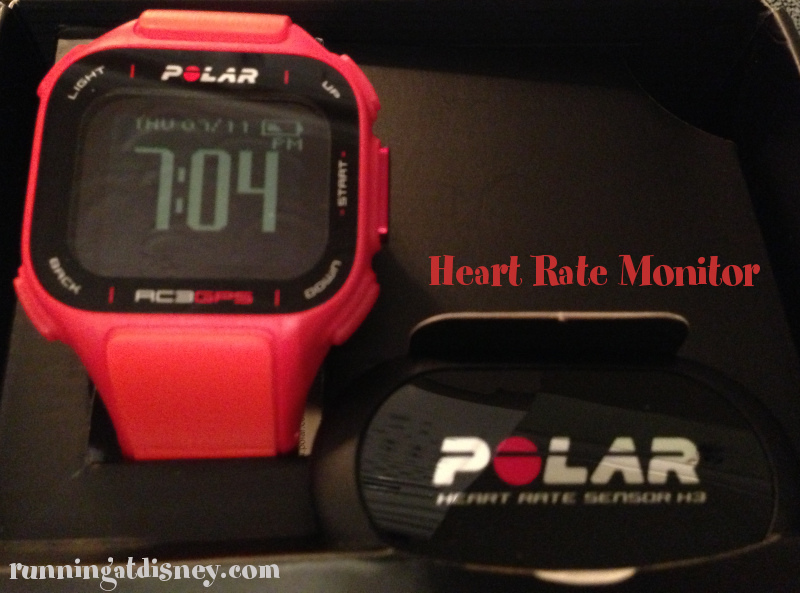 Do you have a heart rate monitor? Do you use a GPS Sports Watch? What is your average heart rate during exercise? 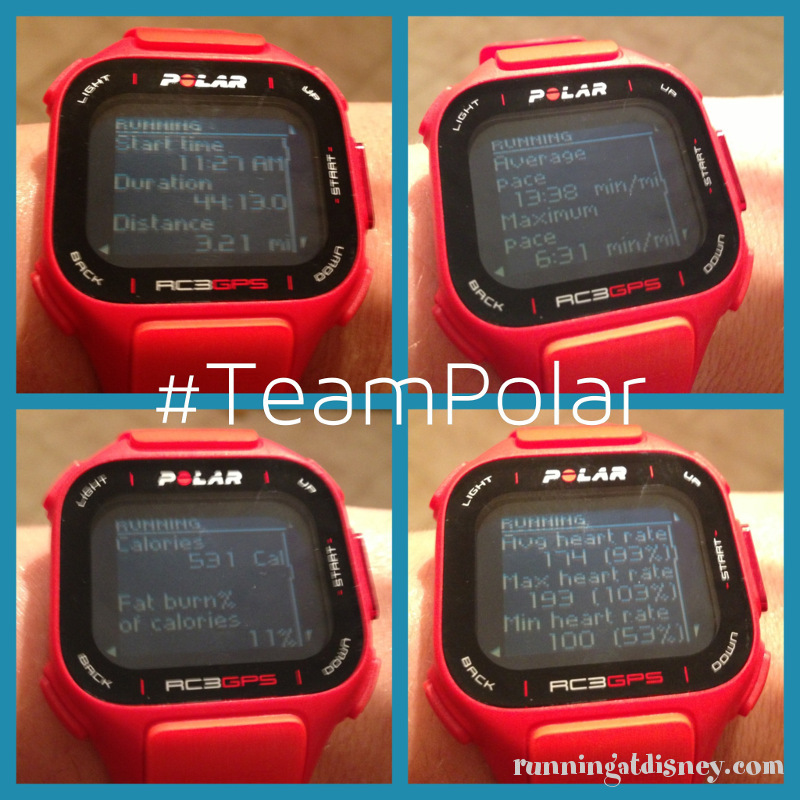 2 Responses to Polar RC3 GPS Sports Watch Product Review: Get ALL the Data! 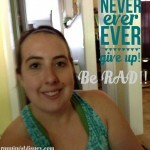 I started training using ONLY my HR about a year ago. 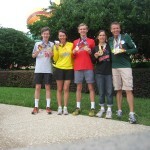 There are certain ranges for tempo/fast runs, long runs, and easy runs. Using this method helped me get from a 35 minute 5k to a 25 minute 5k. As you train at higher intensities for short periods of time, you’re strengthening the heart muscle, which brings your heart rate down during long runs and makes it more effcient. Much like how weight lifters lift heavy weights for small reps, to build up that muscle tissue. I personally LOVE paying attention to my HR. I found it was hard in the beginning, as I was forced to go slow for a long time until my heart was getting more efficient. hi. can you tell me how this inverted LCD works in darkness and low light environment (with illumination too)? I’ve heard that the standard display (grey background, dark numbers) is much more visible and readable that the inverted one. « Friday Feast: Disneyland Table Service Dining Must Dos!